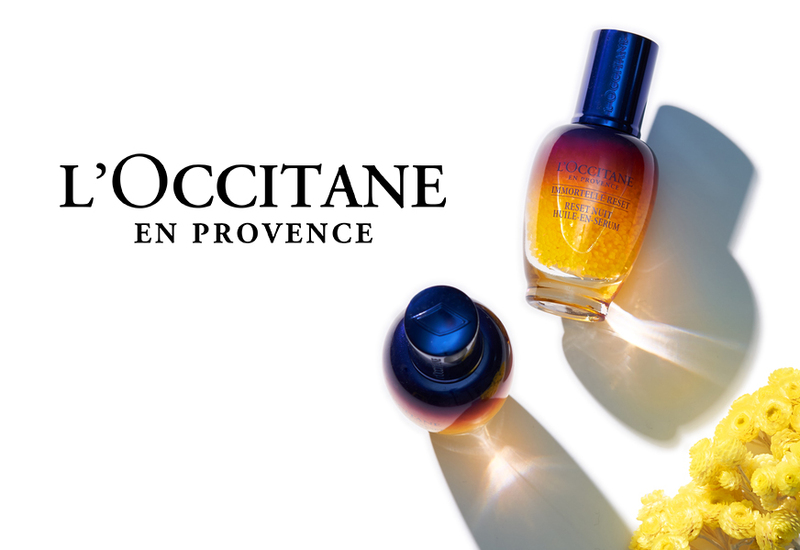 Founded by Olivier Baussan in 1976, right in the Provence region of France, the L’OCCITANE Group is a leader in the field of natural and organic cosmetics. The company is present today in more than 90 different countries, via 3,285 unique points of sale. In this interview & internal communication case study, Denis Geffroy, Communication & Reputation Director for the L’OCCITANE Group, explains how the company relied on Sociabble to engage all of its employees around the world and inform them of its new strategy—all with only two months of preparation. What were the main challenges you were facing when it came to the roll-out? What sort of hurdles needed to be overcome for the initiative to be a success? We needed to involve all of the employees of the L’Occitane brand around the new brand strategy, led by the top management, in a very short amount of time. We had two months to implement the whole initiative, and we didn’t have an internal communication tool at the global level. Our main challenges were to deploy a new platform, to engage the employees, and to make them enthusiastic about the new strategy. So why, specifically, did you choose Sociabble for your internal communication, rather than a different platform or network? What made the difference for you? We launched an enterprise social network a few years ago, and what we liked about Sociabble was two things. First, the fact that it was a tool that allowed us to modernize and expand our internal communication. But also, to initiate an employee advocacy program. It was a two-in-one platform. Which was very relevant for a global company like L’Occitane, instead of deploying two tools at the same time. Also, to get back to the enterprise social network question, I believe Sociabble is a good compromise between a traditional top-down approach, which is demanded by the employees, and a bottom-up approach, where employees can get more involved. We were therefore able to pilot an internal communication strategy while allowing employees to express themselves. We liked this idea and it definitely reinforced the decision to use this platform. You have deployed the platform to thousands of employees all over the world. How do you manage local adoption? The first step consisted of identifying local communication admins in 30 different countries. We had to train them, and it was rather challenging because we realized that they were not necessarily communication experts. For instance, some of them work in the HR department, so we had to teach them new skills such as tool deployment and content production on a daily basis. The second challenge was to produce content which is relevant locally. So we had to encourage the local communication admins to share local news and content in order to involve local employees. Along those lines, the project also targets frontline workers who do not have professional phone numbers or professional email addresses. How did you manage that? We deployed Sociabble for 3 different types of population groups: the office, the retail, and the industry populations. The retail and the industry populations do not have access to professional email addresses, nor digital equipment. The added value of Sociabble among the retail population is that it allows a connection from a personal email address and access to the platform content on the store laptop. We also encourage them to download the app if they wish to, on their own personal mobile phones. In the industry population, they have access to laptops in the break rooms to give them access to the content. They can also download the app on their personal mobile phones. There is no obligation, it’s up to them. Indeed, the main focus is on finding solutions for those employees who do not have access to a professional email address. How did you involve top management in all of this? How did you get leadership to play a role? In such projects, the involvement of the top management is fundamental—we got them on board straight from the beginning. And they also had high expectations; they followed the project through monthly meetings. It was an opportunity to gain a deeper understanding of the platform, to train them for its usage, and it has been a main key to its success. 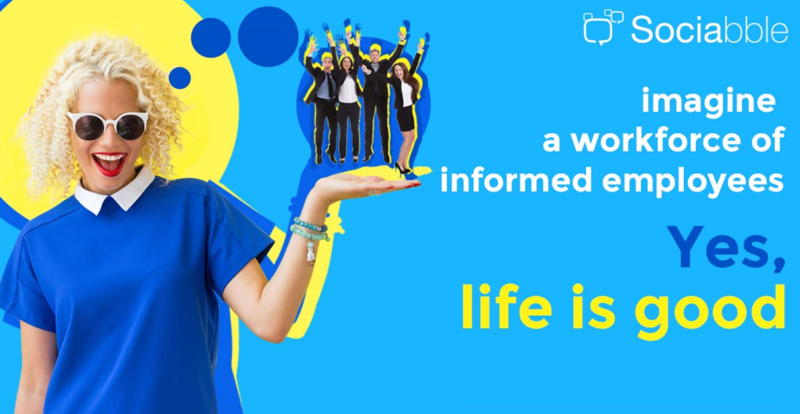 Another aspect of the project was to give them a voice, and encourage them to interact on the platform, using different formats such as Q&As and videos. They encourage the employees to follow certain channels and to interact on the platform, too. But it is also a means of communication for them. It’s not yet fully achieved, we sometimes have to remind them through an email, to encourage them to interact on an important post which deserves their attention. It’s a constant effort, but having them on board is a key driver for the success of this project. What role did the Sociabble support team play? How were CSMs involved? Once again, we had a very short amount of time to launch the platform, only 2 months. So we have been greatly aided by the Sociabble support team, who helped us to break the project down into steps and to avoid wasting time. They assisted us in structuring the platform, to respond directly to our short-term needs. We wanted to communicate rapidly the new strategy of the brand, but also to create a relevant system for the medium and long-term, with evolving objectives toward more content, employee advocacy, and a focus on retail employees. This multi-faceted approach helped us in ensuring that the project was successfully implemented in a very short amount of time for this initial launch. To see other Sociabble case studies like this one, or a specific employee engagement case study, click here. And to receive a free demo and learn what Sociabble can do to help your company with its internal communication and employee advocacy needs, click here.